Now you can use Facebook Messenger to get CNN news and information in a personalized, private message. At Facebook’s F8 developer conference today, the company unveiled new capabilities for businesses and publishers on Messenger, enabling users to chat directly with CNN to get breaking news and personalized stories. In partnership with Outbrain, CNN is using bots for Messenger to interact with users in a natural and conversational way. Subscribers to CNN on Messenger will receive a daily digest of top stories right within the Messenger app. The bot will also recommend personalized content based on a user’s preferences and learned interests. The experience gets more personalized with each interaction on Messenger. Additionally, users can message CNN for news and information about specific topics. For example, if a user is interested in learning more about Zika, they can simply message CNN “Zika.” CNN will respond with the latest news or most relevant story about the virus. The message “delegate count” will evoke a response with a lede and link to CNN’s latest piece about which presidential candidates have racked up the most delegates heading into the national conventions. The CNN for Messenger experience is powered by Outbrain for Chat, a new product that enables personalized content recommendations for users across platforms. It also allows CNN to seamlessly marry editorial programming with true content personalization. 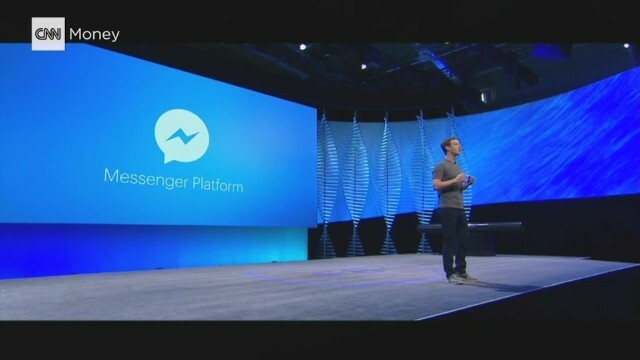 For more information on Messenger, click here. Download Messenger on iOS and Android. For more information on Outbrain for Chat, click here.